Legalzoom Registered Agent Review: Right for Your Business? Worth It? Home » Starting » Formation » Legalzoom Registered Agent Review: Right for Your Business? Worth It? Wondering exactly what the Legalzoom Registered Agent service is, is it right for your business and worth it? Legalzoom’s registered agent service is reviewed including an overview of the role, the need for a registered agent, plus my recommendations on which companies need an agent and which do not need a registered agent. A registered agent is a company that you assign to receive your important legal documents in the regular mail on your behalf. Privacy and Freedom – By hiring the services of a Registered Agent at a professional firm such as Legalzoom, you keep your business matters private from your nosy neighbors and will not be disturbed at home by being served court documents. Who can be a Registered Agent? The RA must be an adult or business authorized by you, the business owner, that is available during standard business hours at a street address in the state which your company was formed as a DBA, LLC or INC. Some states use different terms for the same person and service. The names term resident agent, statutory agent, agent for service of process all function the same as the Registered Agent. Can I be my Own Business Registered Agent? Yes, you can be legally, but most business experts advise against it because this is such an important role. When you hire someone else to be responsible for receiving your legal and tax documents you will rest easy knowing that they will always be there to accept such important paperwork. No longer will you worry about missing a tax notice or being on vacation when the court served you papers. What does INC mean in business? IncFile vs. LegalZoom Review: Best LLC Service for Your Business? Should Your Photography Business be an LLC? 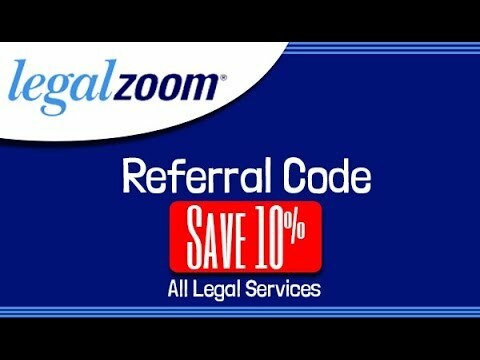 Legalzoom vs LegalShield – Best Legal Services?